The IR239B intelligent online thermal monitoring system utilizes advanced thermography technology to monitor a variety of devices found in electrical substations: Main transformer, GIS Switchgear, High Voltage Switchgear, control room etc. Infrared imaging allows for non-contact imaging of surface radiation from a large distance and without electric field interference. It fully meets the standards for power station infrastructure monitoring and for unattended continuous monitoring. At the same time it is used to provide guidance based on abnormalities for regular substation inspections. This all results in improved substation timeliness, cost savings and an effective reduction of substation accidents. 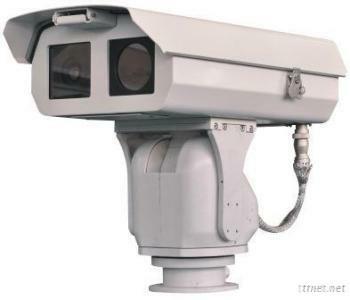 Integrated with thermal, visual cameras, pan-tilt and lightning conductor, IR 239 system is rugged and well sealed design with water and dust proof, which is an idea product for outdoor continuous monitoring. Offer a 24 hrs/ 7 days continuous unmanned operation and decreases the labor cost and increases the work efficiency. Patrol monitoring without time limitation. Avoiding other elements influence, eg: Distance, using habit and etc., stationary installation ensures accurate data comparing. Continuous monitoring provides equipment condition for further repair and maintenance actions. Max 50 monitoring positions setting, each monitoring position can have 9 monitoring targets. Patrol monitoring modes: Timed open, Fixed time interval open and manual open. Great pan-tilt design increases the monitoring range without cost increase. Together with our intelligent software, operator can monitor the temperature information of those targets equipment in real time. Auto alarm when finding abnormal temperature on any equipment. Smart equipment safety classification: Normal, early warning and alarm. When high temperature occurs, equipment icon will be colored by different temperature alarm level and glinting. The Hibernation function could extend the equipment lifetime and improve system efficiency.